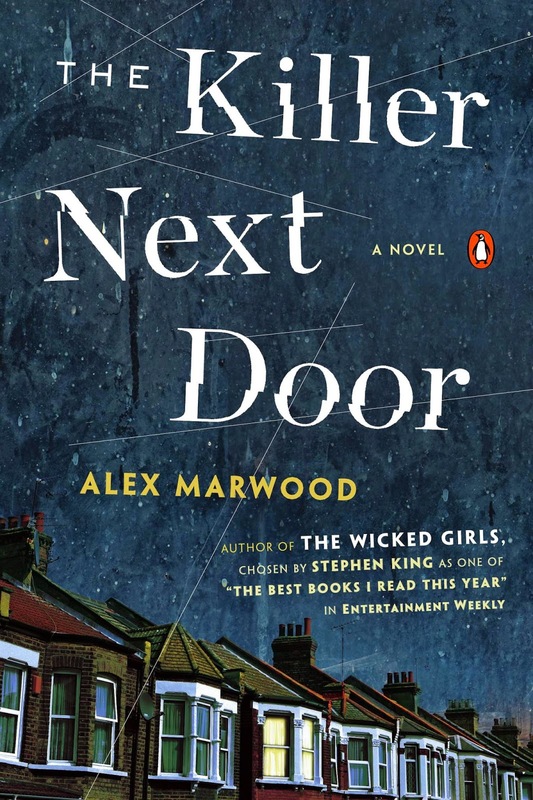 The Killer Next Door by Alex Marwood was described by Steven King as "scary as hell," but I'm not sure I agree. Disturbing, gross and suspenseful, yes. You definitely can't have a weak stomach reading this one; the gore factor is through the roof in several places. But while it is unnerving, it isn't edge-of-your-seat scary for the most part. There are several gripping scenes, but I found the focus of the novel to be more on the characters than the scare factor. And being someone who loves character-driven novels, this was great. Collette is the most developed, at least at first, but Marwood gives each character a clear persona. Cher is the young runaway who steals to make the rent each month. Vesta is the pensioner who has lived in the house her whole life. Thomas is the quiet, boring one. Gerard is the divorced music teacher. Houssein is the political refugee from Iran. And Roy Preese is the disgusting landlord who loves to wield his power over his renters. It's an eclectic set of characters who eventually come together, reluctantly, to try to save themselves. The Killer Next Door is an engaging read that I had a hard time putting down. There was plenty of suspense, not only with regard to the killer, but also with the many parallel storylines going on. If you can get past all the body parts, the bodily fluids and the stench that Marwood infuses into the home, it's an excellent mystery straight through to the end. This review was written based on a copy of The Killer Next Door that I received from the publisher in exchange for an honest review.